Coming Next Week, It’s RWA Time! Posted on July 13, 2015 | Comments Off on Coming Next Week, It’s RWA Time! I am just a wee bit excited that a week from tomorrow I’ll be getting on a plane headed to New York for the 2015 Romance Writers of America conference. 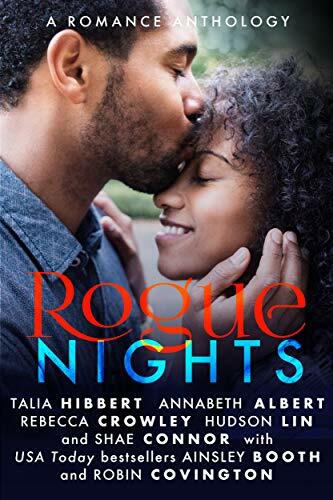 In addition to three full days of panels and workshops focusing on the profession of romance writing, I’ll be visiting friends, meeting new ones, and attending the Saturday night ceremony for the RITA and Golden Heart awards (the “Oscars” of the romance genre). 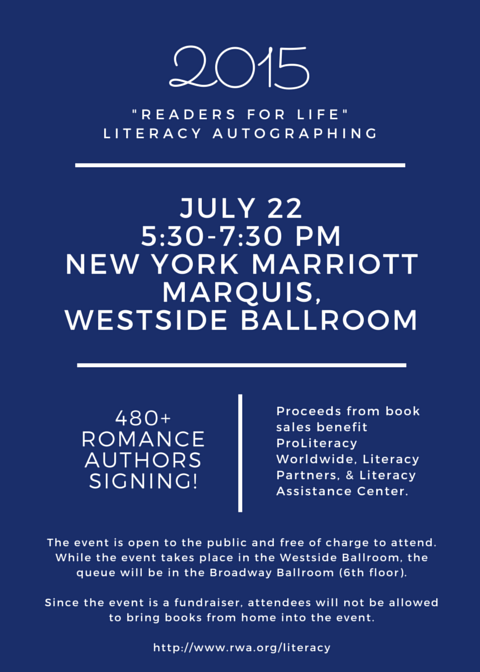 If you’ll be in the New York area on Wednesday, July 22, you can get to see many of your favorite romance authors, including me, at the “Readers for Life” Literacy Autographing. More than 480 authors will be signing books, with all proceeds going to benefit three literacy-focused charities. You can get more information and check out the full list of authors here.